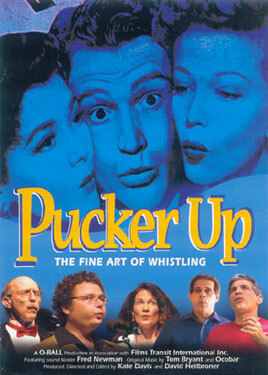 Whistling Tom is Featured the film "Pucker Up"
by Kate Davis and David Heilbroner being seen at film festivals around the world. "PUCKER UP: The Fine Art of Whistling" was submitted for the General Audience Documentary Competition as an East Coast Premiere in the Florida International Film Festival 2005 in Orlando, Florida and we are pleased to announce that "PUCKER UP: The Fine Art of Whistling" took not only the first place award from the judges but also took the first place award from the audience vote, which is unusual. View an excerpt from the documentary "Pucker Up" on YouTube featuring the song "Caribbean Fantasy" from Tom's CD "Puckulations Plus". Tom a call at 305-923-3640.